Do most of the usual tasks you need of Homebrew. Including updating and finding problems with the Doctor! Afraid to use the terminal? 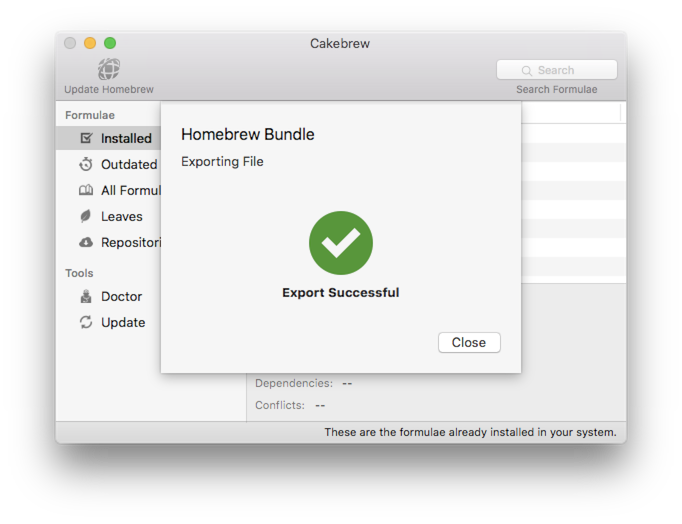 Cakebrew supports Homebrew/bundle. Export and import formulae easily! Cakebrew is open-source! Sweep through the code, fork, and improve it as you wish! Cakebrew was designed with the user in mind. No complicated interfaces! 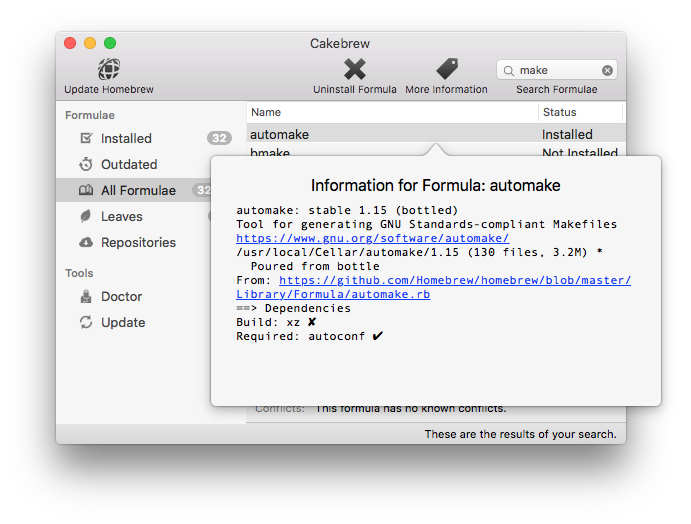 Cakebrew is compatible with all OS X versions back to OS X 10.8. With Homebrew you can install thousands of command-line applications and libraries that would require manual compilation, which is not always very straight-forward. Cakebrew brings this to a whole new level of simplicity. Install command-line tools from an App. Could it be easier? Download Cakebrew today and discover the wonderful world of Homebrew and its Formulae! 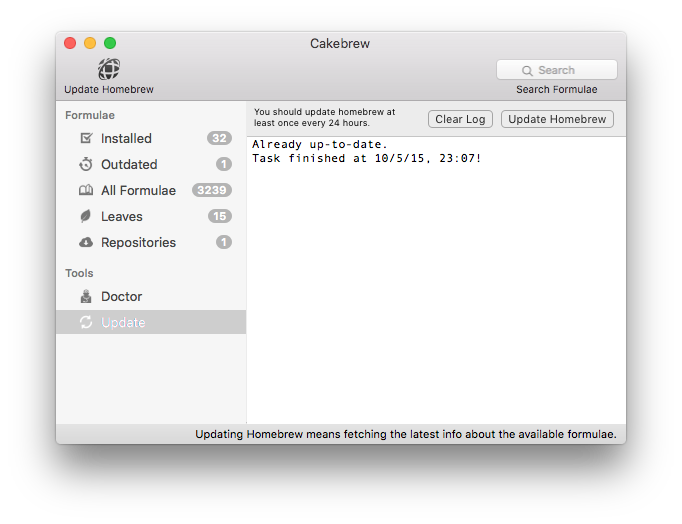 It is important to note that Cakebrew doesn't install Homebrew for you. To install Homebrew, please visit their website. Cakebrew has been featured on many different tech blogs and websites in different languages. Take a look! You can now get this delicious vinyl stickers with the Cakebrew icon from nobody else but the awesome guys at Sticker Mule! They are made with the best materials, are weatherproof and designed to keep bright colors for years. 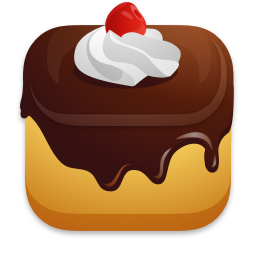 It is going to look awesome in your stickers collection, and you will contribute to the development of Cakebrew, since a small portion of the price is converted back to the development efforts. The stickers are available in two sizes (2x2in and 3x3in), and individually (or as many as you wish), with free shipping available for U.S. orders. 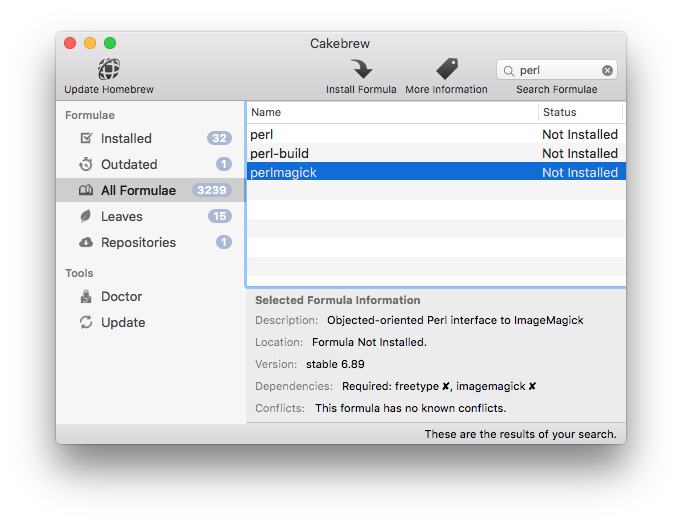 Cakebrew supports all versions of OS X back to version 10.8. 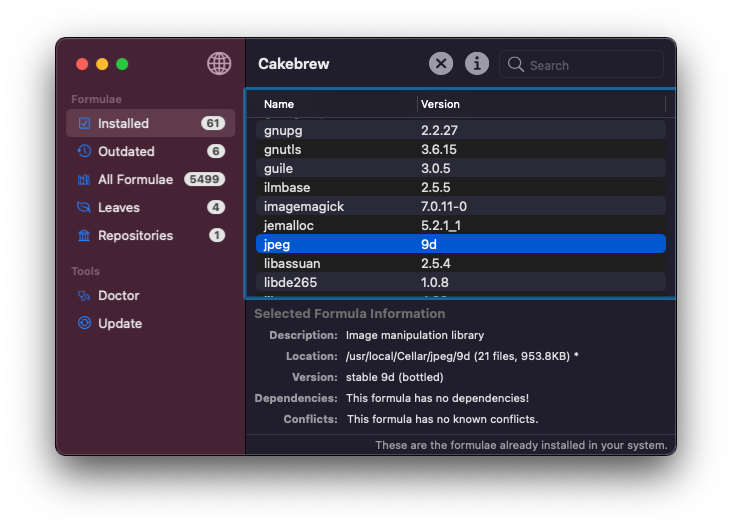 Cakebrew is written in Objective-C and compiled in Xcode 7.2.1 on OS 10.11.3. This website is IPv6 ready, but you're connected via IPv4.